New to EPIC? Watch this quick video and download our New User Guide. Subscribe to our EPIC newsletter for tips and updates! 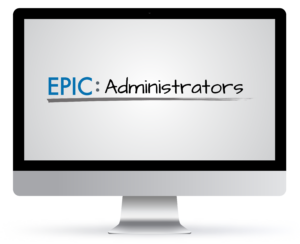 Sign up for an EPIC 101 webinar to increase your skills. Purchase EPIC Credits for your account. How long will it take credits to get into my account? This process can take up to an hour for all orders placed Monday through Friday, 9AM-5PM EST. Orders placed after hours or on weekends will be fulfilled on the following business day. For a list of how many credits each report will cost to generate, log into your account and locate the “Credits Charged for Reports” page under “Manager Your Account,” in the main navigation bar. How do I print my completed reports? As long as a report is in your account, you will always have the ability to go back and edit certain information such as access to MyEverythingDiSC.com. You will also have the ability to view and download this report. Simply log into your account and click “View/Print/Email Completed Reports” under the “Manage Reports” menu. Search by name, email address, access code, or folder.